Contest #554: El Helicoide, Caracas, Venezuela – Where On Google Earth? 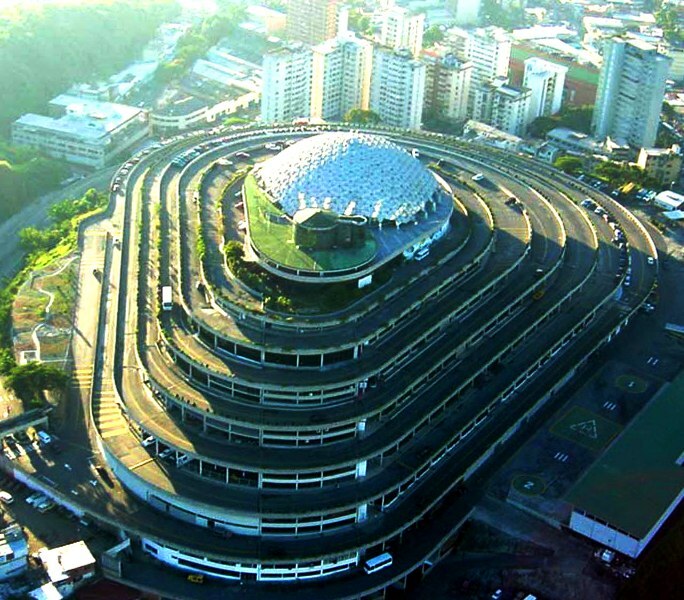 El Helicoide is a building in Caracas, Venezuela. It has the shape of a three-sided pyramid and is built on a hill. It serves as a facility and prison belonging to the Bolivarian National Intelligence Service (SEBIN). It did not start out as a prison. Designed by the architects Pedro Neuberger, Dirk Bornhorst and Jorge Romero Gutiérrez, the idea included a commercial center and exhibition of industries, a 5-star hotel, a park, a club of owners and on the seventh level a show palace. The building would include a 4 km long ramp spiralling around the hill, allowing vehicles to enter the building and park inside of it. We are still having issues with the commenting feature for the site. It appears that the notification going back to the commenter is not working. If you entered a comment, but do not see your name in the list, let Andrew (andrew64giles@gmail.com) or Paul (pfranson@gmail.com) know so we can investigate further.